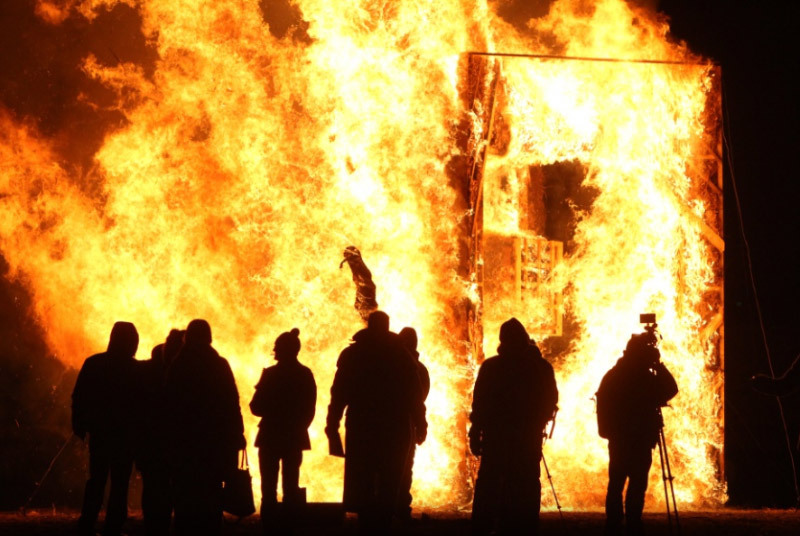 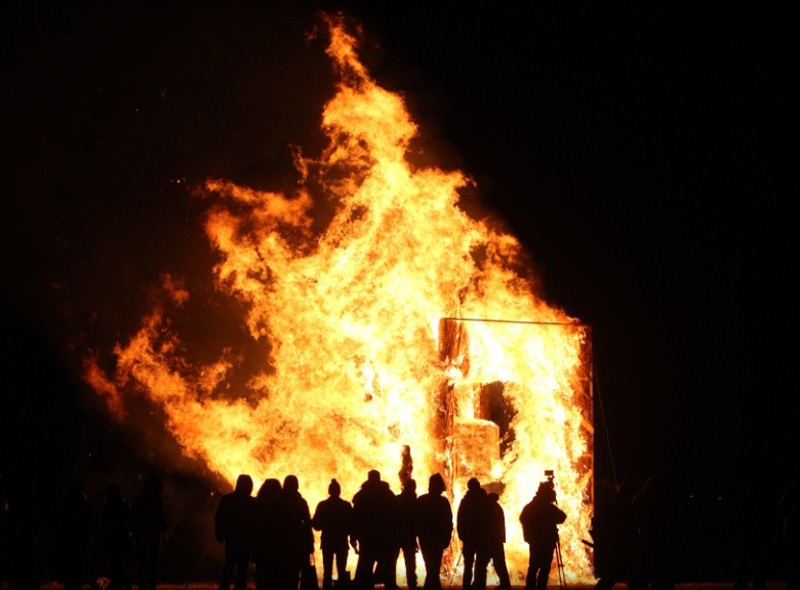 In 2014 Ben Rousseau and Stuart Farrelly were selected to represent the UK at the European capital of culture Riga’s hosting of the World Fire Sculpting competition. 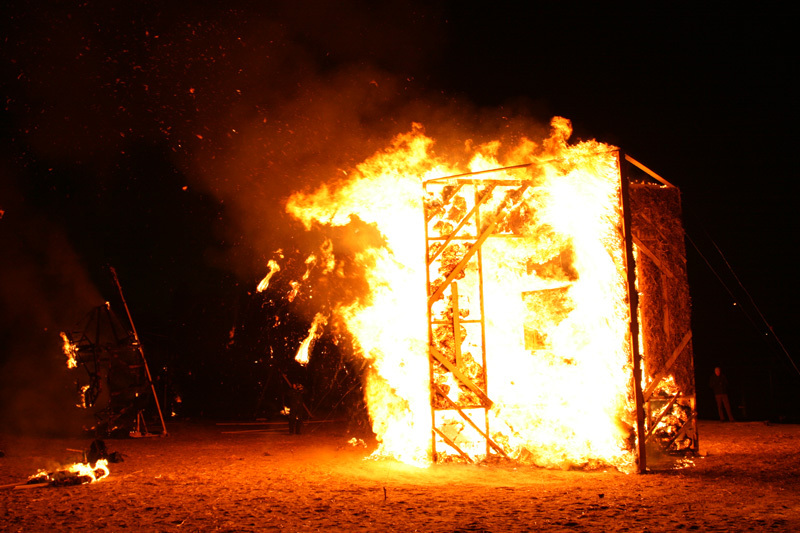 The 5m high installation was titled “Invisible Force” which was a huge timber structure filled with straw that had a huge timber cube filled with straw that span on steel cables in the centre of the structure and when burning in darkness rotated like it was floating in void of space. 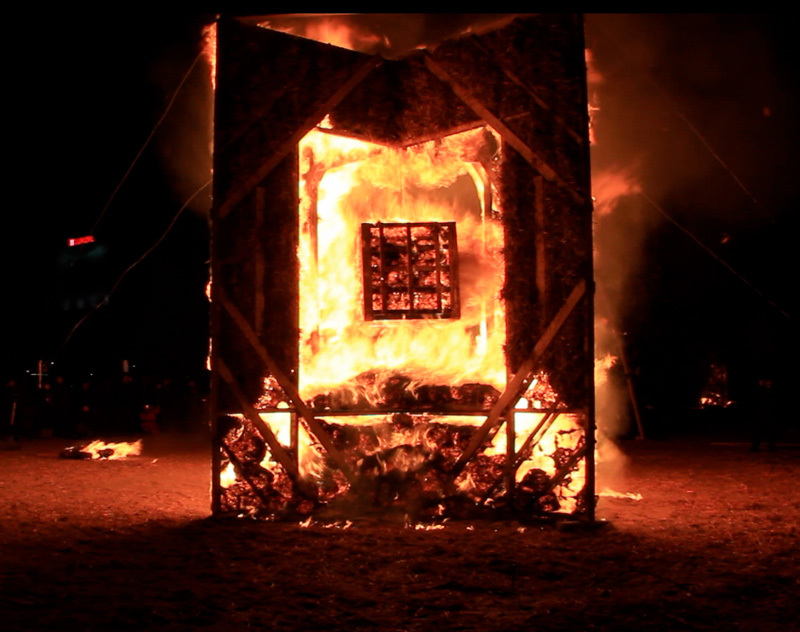 Click the link below to watch our video of the build.